After the fall of the totalitarian regime in November 1989, the Czechs opened the national border to Western Europe and in the early nineties began to travel to previously inaccessible countries. With the opening of national borders also opened up the market for goods from the west. This brought us war gaming and logically also Warhammer. Around the mid-nineties, began to form the first Warhammer community in Bohemia. I planned this article for the ETC Gazette project, but it is stalling. I therefore publish it on the blog. Warhammer appeared in Czech stores, while the WFB fifth edition and 40k 2nd edition. 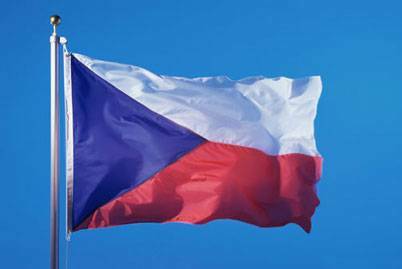 Health of Czech economy after 40 years of communist rule at the time was wrong and the purchasing power of population is not large. Starter box at the time was around CZK 3,000, which for many meant almost half the monthly salary, so start to fully play Warhammer was very demanding. Because in our copyright law at the time was in its infancy, the easiest way was get a photocopy of rules, armybooks and codexes. From original models were made molds and cast a copy at home. Warhammer was therefore a very expensive hobby. Thanks to that, basically just people who love the world of Warhammer deal with it. Fluff is everything. Employed players could afford to buy a blister or box per month, so had plenty of time to devote to their converting and painting. Missing models are often replaced with whatever was of similar size. As the health of Czech economy gradually improved, rising the the population purchasing power and Warhammer has become more accessible to a wider range of players. The community grew. The largest increase in the number of players began five – six years ago and is still growing. Today, the starter box can be purchased for CZK 1740 (full retail price), which means roughly a tenth of the average monthly salary. Rules or models no longer copied but buy. Many players have several armies at home. Much of the new players have no such relationship to the world of Warhammer, or for modeling or painting, as had the first pioneers, and it is possible to observe the gradual transition from a fluff to competitive environment, but this means a considerable degree of resentment among the older players. With the growing community, organization of the first tournaments began. These tournaments are attended mostly by mentioned veterans, so the tournament featured fun, not too optimized armies. Tournaments were rather friendly meeting than a struggle for the results. Currently, not only veterans attended the tournament, but relatively new players, who, as I mentioned, they do not have such enthusiasm for the Warhammer world, trying to build optimized and generally strong armies. At tournaments, play for fun encounters with competitive play. This makes it difficult to assess the quality of individual players, because it is dependent on the pairing, on whether play against funny or competitive armies. Veterans often complain that they have to play against strong armies. Even though on the Czech tournament scene with a new, powerful codices appear very slowly. For example, the Space Wolves are actively playing at tournaments by three players, Blood Angles played by two players, Dark Eldars and Grey Knights, both by one, maybe two. The tournaments results are heavily influenced by sportsmanship and painting ranking. I mentioned a big tournaments. 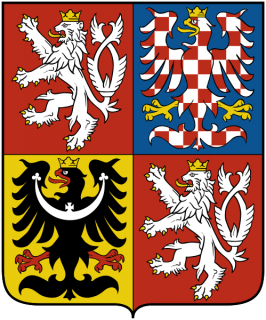 In the Czech Republic there are four-five per year (40k, and similarly, WFB), of which the largest has a capacity of 60 players, the other attends about 30-40 players. These tournaments are two day, play for 5 rounds, using the battle points, and the usual points limit is between 1500 and 2000. WYSIWYG and full paint is not required on any of these tournaments, but is positively scored. Czechs are a nation of modellers, which means that the conversion are welcome and positively rated, even though the eventual conversions can provide game advantages over official models, ie the exact opposite of big tournaments abroad. In addition to big tournaments in the Czech Republic organized around 15 smaller tournaments per year, usually with the participation from ten up to twenty players, which plays primarily three rounds. These tournaments are one day and typically paint and sportmanship are not ranked. Although average salaries are rising and the Czech crown strengthened, Warhammer is still a very expensive hobby that everyone can not afford. Active players in the tournament scene is estimated to 200 for both game systems together. When we add those who do not go to tournaments, community will not be of more than 500 players in total. Quality competitive players with enough experience who are able to play at international level in the Czech Republic are just a few. For this reason, the selection of players for the ETC very specific and even though we held a series of qualifying events, finally ETC participated by those who were willing to pay the entrance fee, travel and accommodation, which is a considerable investment for the Czechs. I hope that in spite of my poor English you understand what I wanted to to say.